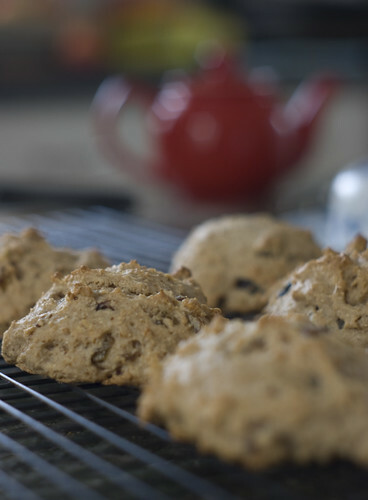 You are all probably tired of reading about my pursuit of the perfect, healthful cookuit (as mentioned in an earlier post, they’re not quite buscuits, they’re not quite cookies). Don’t despair, though, there is some knitting content at the tail end of this post. The ingredients are fairly similar to my previous attempt, but with a couple of key differences–slightly more liquid, and the order in which ingredients are combined. These are definitely less dense, more cake-like. Mix dry and wet ingredients together, being careful to not overmix. For each cookuit, spoon about 1/2 cup batter onto baking sheet. Bake for 25 minutes at 375º. Makes 9 cookuits. 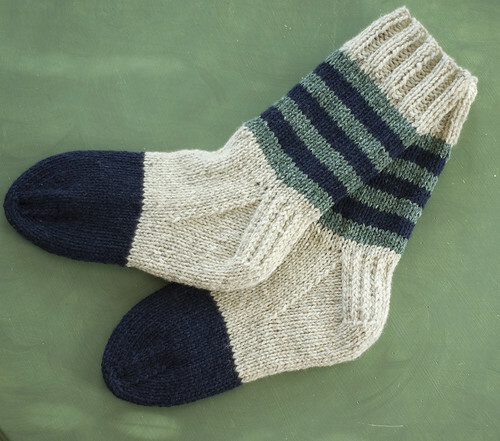 Virginia finished a pair of socks for me, using some of her leftover Cestari yarn. I’m wearing these right now. I love how toasty these make my feet.